Kim Si Heon appears in Noir's 3rd debut concept teaser film above, while Lee Jun Yong poses for his stylish individual teaser image, below. Noir's 1st mini album 'Twenty's Noir', including their title track "Gangsta", is set for release on April 9 at 12 PM KST. 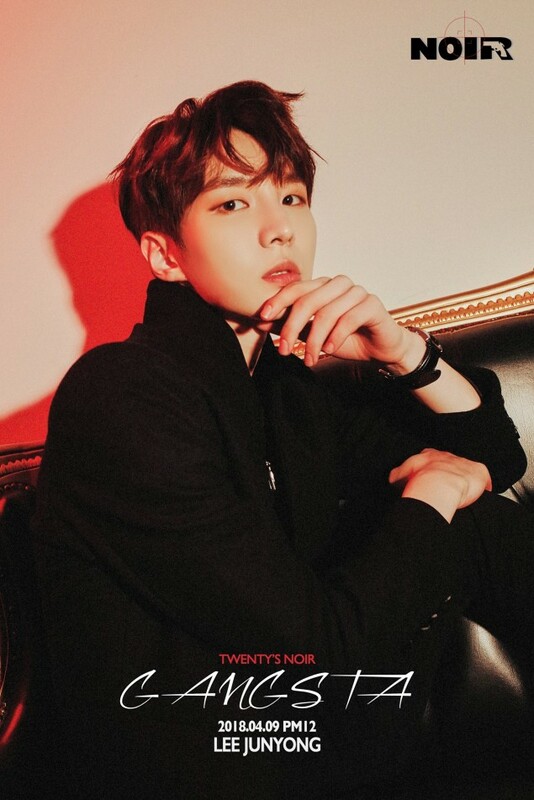 What do you think of Noir's debut teaser series so far?